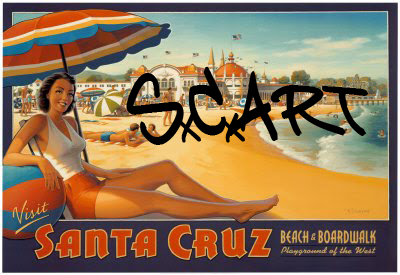 Santa Cruz Art: First Friday! Enjoy the radiant art of Lynn Jaye and the free snacks and drinks provided by India Joze. 7-9pm this Friday. Let the sun shine between the rain! First Friday! Enjoy the radiant art of Lynn Jaye and the free snacks and drinks provided by India Joze. 7-9pm this Friday. Let the sun shine between the rain!